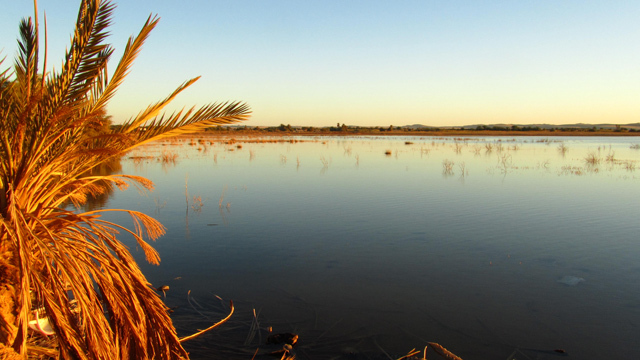 One of the absolute coolest things to do in Egypt is visit an oasis, and one of the most easily accessible is the Siwa Oasis. To get there you either have to drive yourself, or take an eight hour bus ride from Alexandria. The buses departs at night and when you wake up, you are in a completely different world – a quiet place with fresh air in the middle of nowhere. The feeling of life on the oasis really felt like I was on a tiny private island and even the people were laid back and relaxed just as anyone would be on any Caribbean or Asian island. I felt as though I could retire, riding around on a donkey cart and munching dates while lounging about in my awesomely comfortable Egyptian jellabiya and puffing on fruity sheesha. 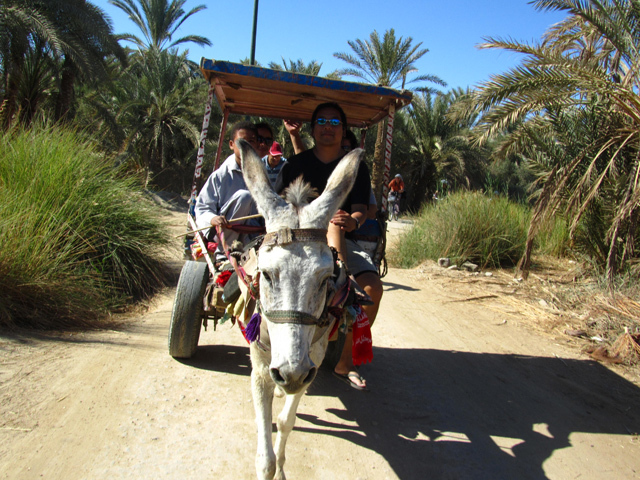 There are a number of modes of transportation to get around Siwa Oasis: donkey cart, bicycle, motorcycle and foot. I chose the donkey cart! 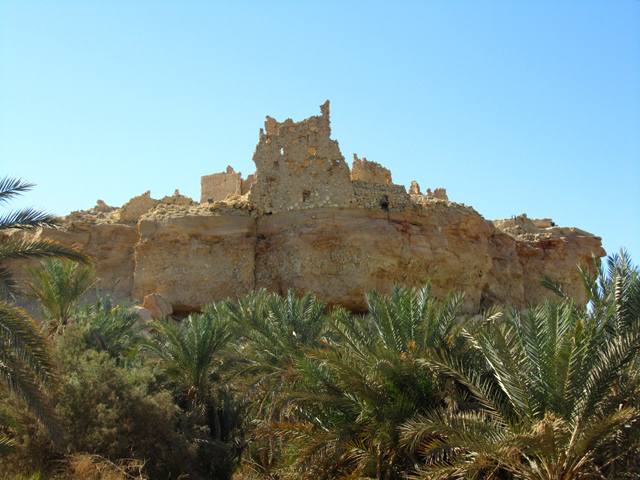 Just like throughout the rest of Egypt, the city of Siwa was also anciently inhabited and is home to a number of historical ruins that include the Temple of the Oracle of Amun and the last standing wall of the Temple of Umm Ubayda. The ruins were extremely interesting to see, as were the Egyptian hieroglyphics on the walls, and a number of tombs in the area. 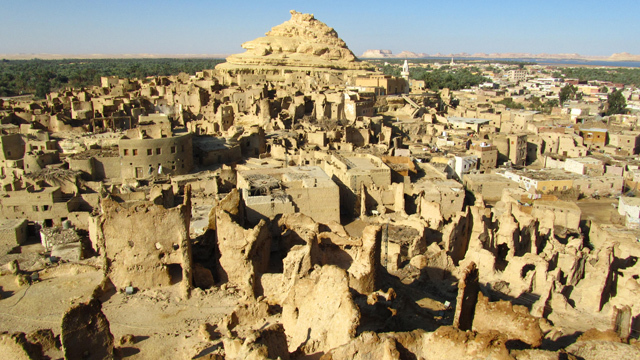 In the main part of Siwa town is the impressive mud city ruins of Shali. Waking up early in the morning and hiking to the top viewpoint of the ancient city was incredible. Most of the mud city itself is not functionally used today, but there are a few shops, restaurants and a fancy boutique hotel that are built and blend right into the mud city. An overnight desert safari was the highlight of my visit to Siwa. After loading up the 4 wheel drive Toyota Land Cruisers we headed out into the real desert and the surrounding Egyptian sea of sand. The dunes and the barren bone dry landscapes were impressive. We stopped at one area in the middle of absolute nowhere, where the ground was filled with star-etched seashells originating from the time when the area was underwater. After deflating the truck’s tires to cater to the soft sand, our driver zoomed through the never-ending dunes at high speeds for a thrilling roller coaster ride. Eventually we arrived at a seemingly impossible lake in the middle of the desert – an icy cold reservoir of water in the middle of sand. 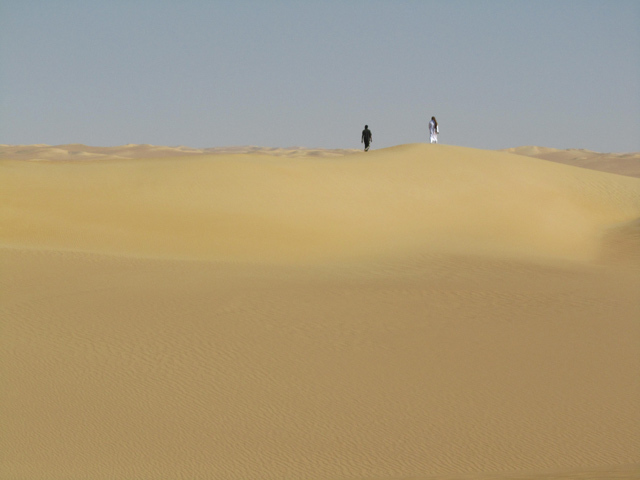 Though it was way too cold, I couldn’t miss the opportunity to take a dip in the Sahara. When evening arrived, we drove to our tented Bedouin style camp to enjoy dinner and eventually sleep for the night. 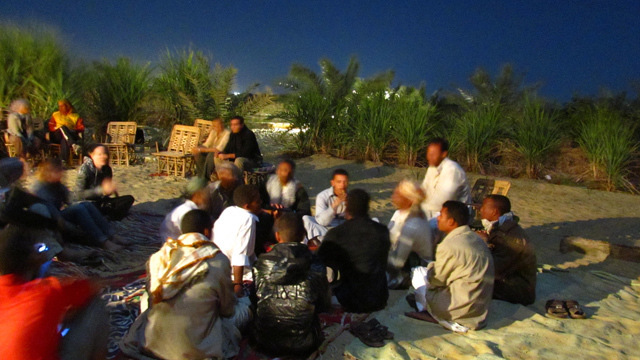 We were served an excellent meal of grilled meat, rice and Arabic bread, and then spent the remaining hours of the night sitting around a campfire and dancing to the rhythmic beats of local Siwan instruments that pierced the silence of the desert. Sunsets in the desert are almost always impressive, and they were no different in Siwa. Every evening the sun became a ball of fire and with it came every shade of orange, yellow and red imaginable. Sunset Point, about 5 kilometers from the central town of Siwa, is one of the most spectacular viewpoints as the colors reflect off the swampy lake. 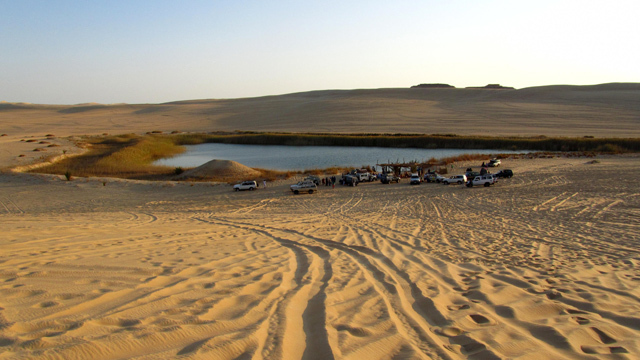 Of all the fun attractions in Eygpt, visiting the Siwa Oasis was one of my most memorable. Wow this place looks so cool. 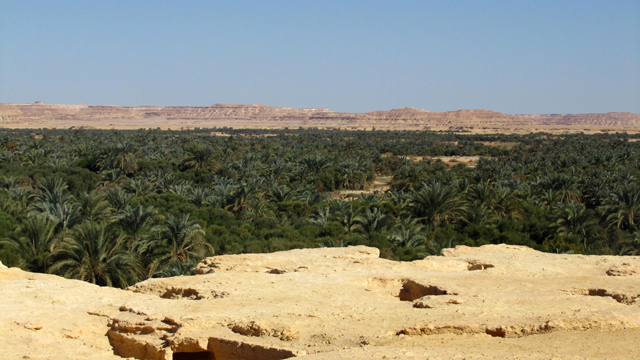 I am actually reading a book at the moment that mentions the Oracle at Siwa so I’m quite intrigued to visit this place. Cool Dean, it’s a really great place to visit! Arriving in the oasis was so cool, it really was like being on an island, just surrounded by sand instead of sea! Ruins of Shali is really amazing . I think Evening Camp in Desert will be very much fun. Thanks Angela, I really enjoy the desert camp!